Frjókorn hat is as light and airy as its matching Frjókorn sweater and a quick knit too. 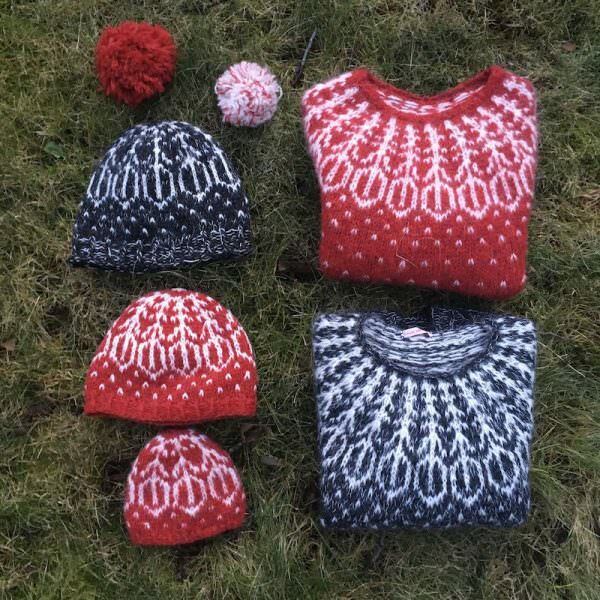 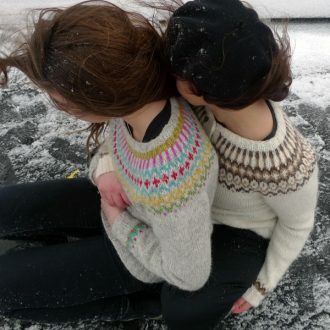 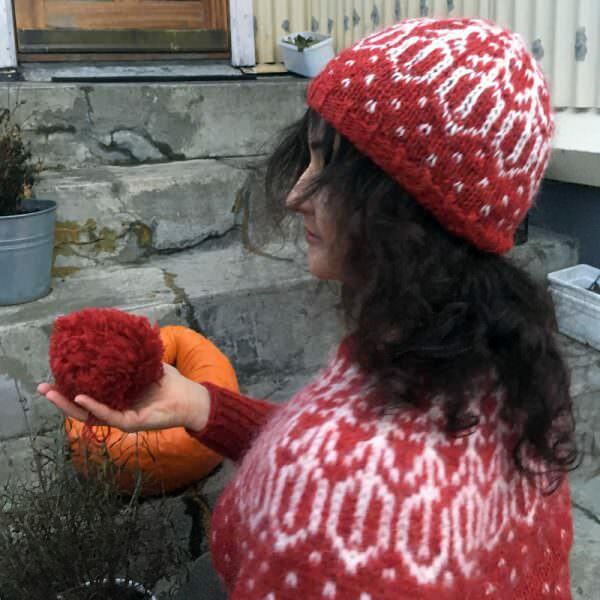 It is made with the same bland of Love Story and unspun plötulopi single with the motif in Léttlopi and I encourage you to use your sweater’s leftovers to make it. 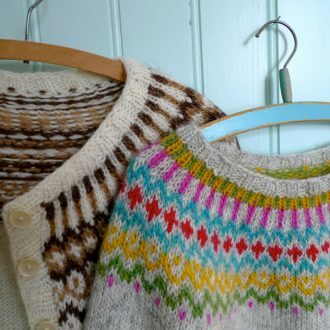 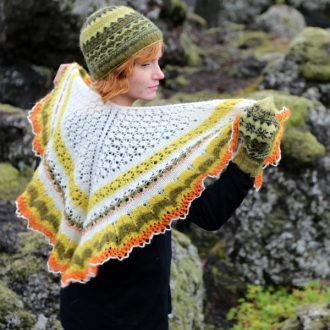 It is knitted from the top down and finishes with an Icelandic garter bind off. 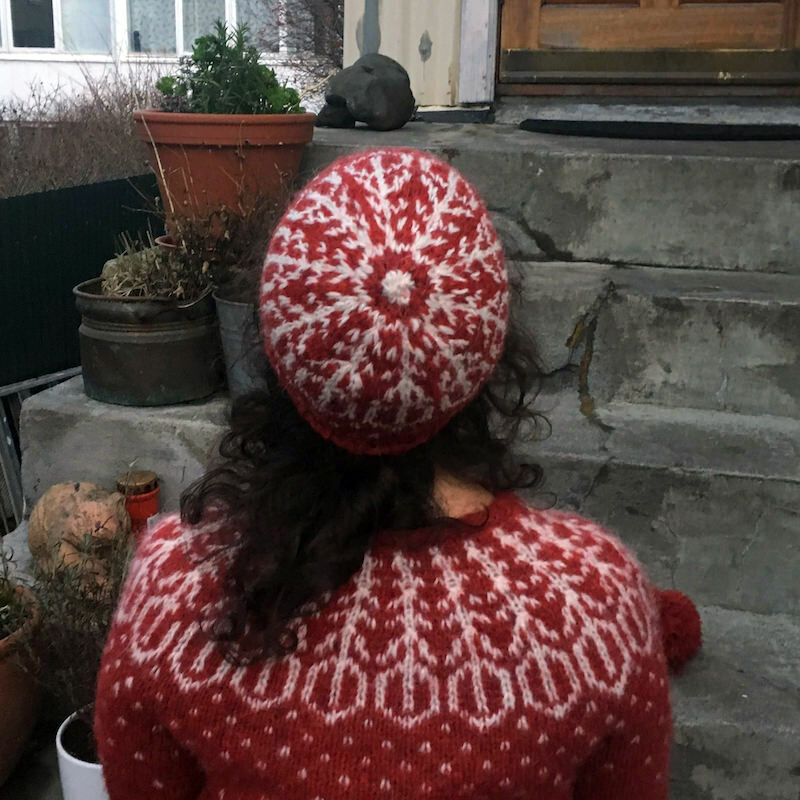 This little-known bind off is elastic, yet sturdy, and perfect to bind off a hat. 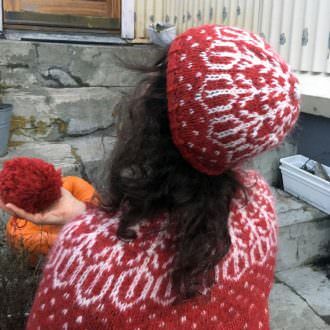 To my best knowledge, this BO is known in Iceland since at least the middle of the 19th century and is called garðar-afelling, literally “garter BO”. 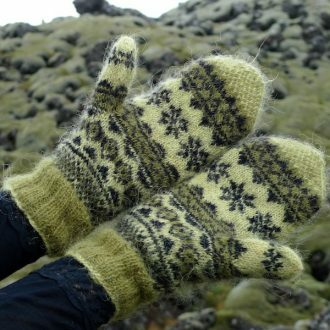 I’ve been teaching it during my Hiking and Knitting tours in Iceland and somehow started to be called “Icelandic BO” by third parties. 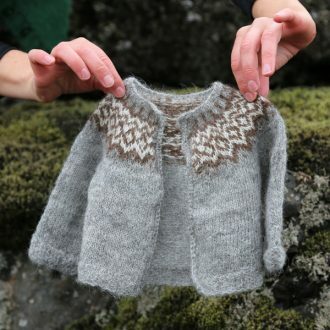 I have never claimed it was an Icelandic BO but it does seem to be little know outside of Iceland. 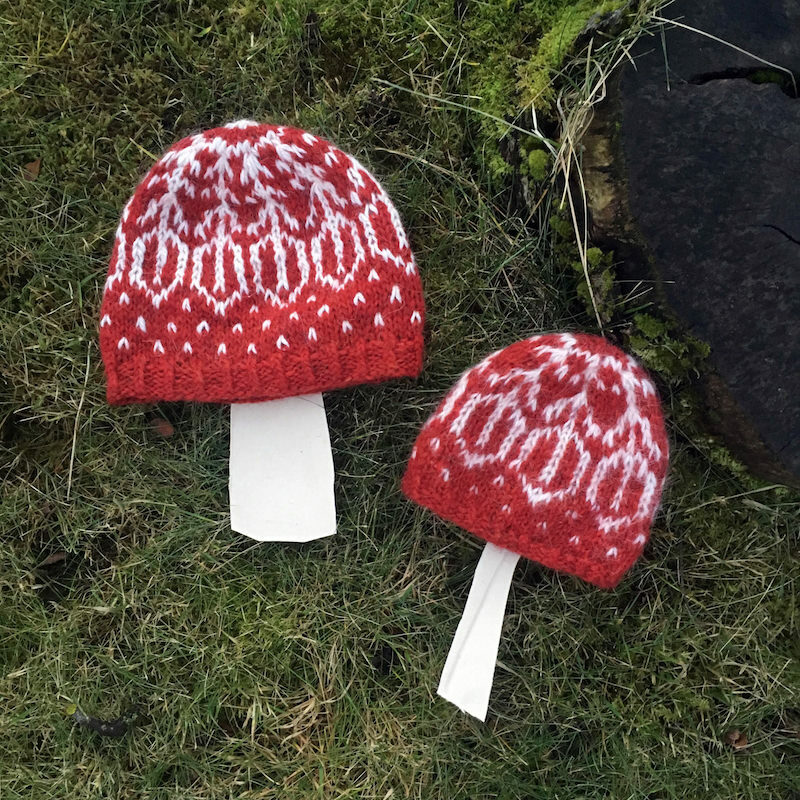 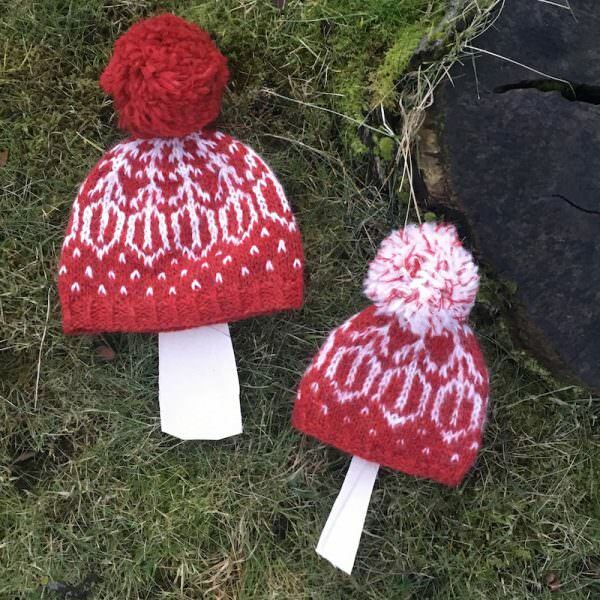 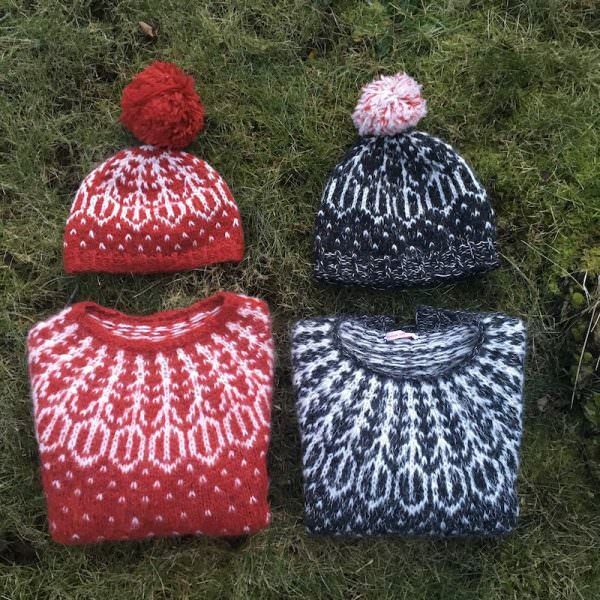 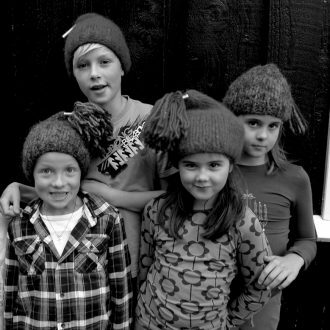 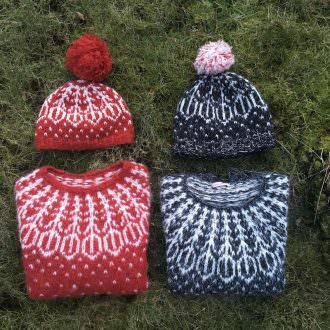 An alternative for a thicker hat would be to use a chunky yarn, for example Álafoss lopi. Gauge: 10 cm / 4” = 15 sts and 20 rows in St st on 7 mm / US 10¾ needle with Plötulopi and Love Story held together. 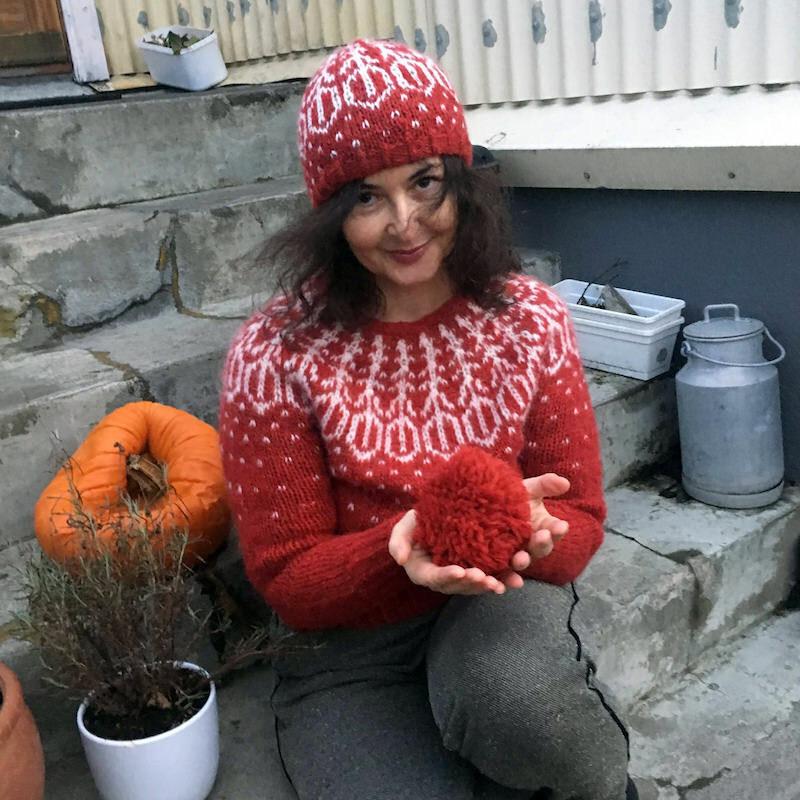 CC: Léttlopi from Ístex (100% new wool, unspun with light twist, Aran weight, 50 g ball = 100 m / 109 yds) or Einrúm L (92% new wool, 8% pure Thai silk, Aran weight, 50 g skein = 93 m / 102 yds) held single. Yardage needed: between approx. 1.5 and 4 m / 1.6 and 4.3 yds depending on the sizes, without pompom. 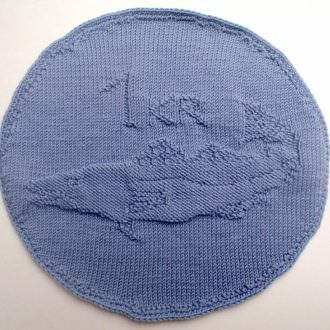 Needles: 6 mm and 7 mm / US 10 and 10¾ circular needles. 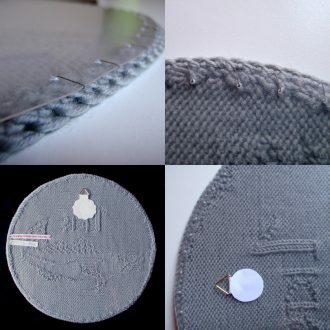 Magic loop is used but you can also use double-pointed needles. 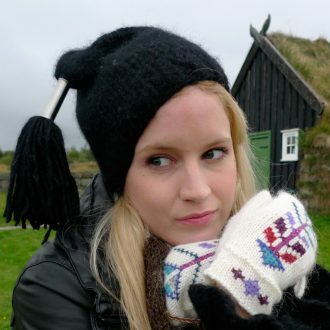 Note that not all brands carry the US 10¾ needle size. Techniques: The hat is knitted from the top down in stranded knitting. 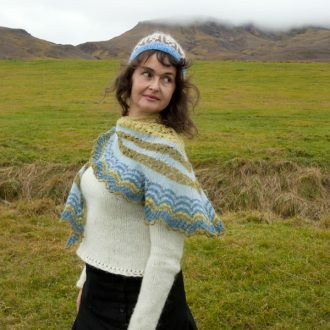 It starts with a disappearing loop cast on and finishes with an Icelandic garter bind off. 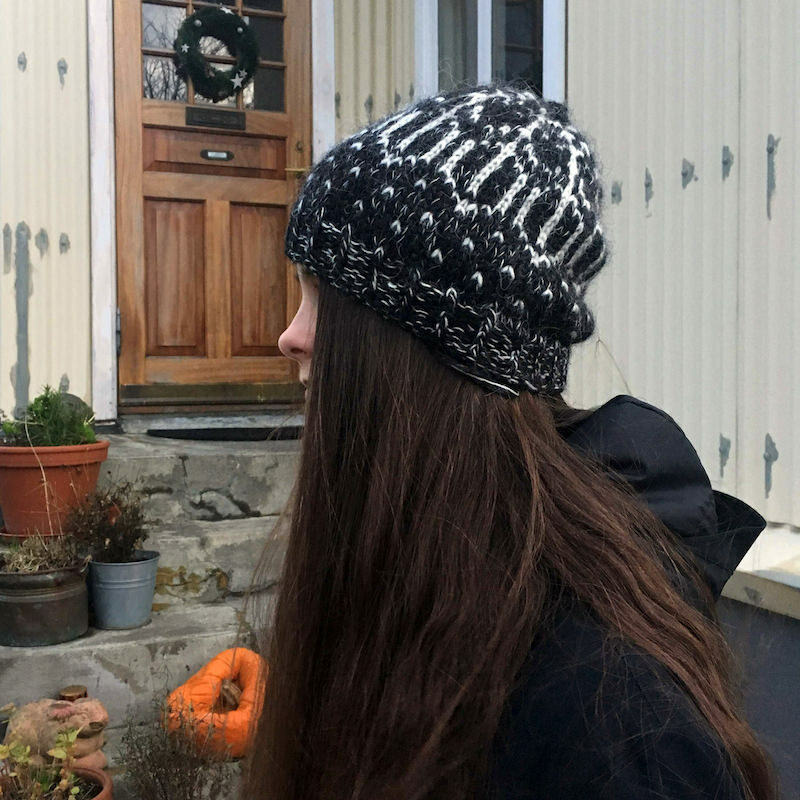 This little-known bind off is elastic, yet sturdy, and perfect to bind off a hat.